2015 is shaping up to be a big year for the home care industry including many events providing innovative solutions to streamline business. In this post, we’ll share the top 5 can't miss conferences for home care providers. This list represents the biggest and the most distinguished events for home care professionals to attend this year. 2015 HCAOA Annual Conference - September 27-30, 2015 - Washington, D.C. Taking place in the nation's capital, the 2015 HCAOA conference’s theme is HOME CARE: UNITED WE STAND. The HCAOA is one of the most respected voices serving home care providers in the United States. The event covers four tracks: advocacy, operations, sales and marketing, and care development. The HCAOA promotes advocacy and plays an integral part when challenging unjustified public policies that negatively impact the home care industry. This leading organization also informs members about the challenges facing the home care industry for the upcoming 12 months, and how home care providers can best maneuver through those challenges. The operations track provides suggestions to streamline agencies’ day-to-day business operations to ensure profitability and to remain competitive. Keynote speakers propose innovative ways to create revenue growth and marketing strategies for providers. In the care development track, the HCAOA explores ideas that will inspire and guide members to overcome the many struggles in managing care for clients. This conference provides sessions that appeal to home care business veterans as well as those new to the industry. Visit the 2015 HCAOA Annual Conference website for more information. An event that attracts hundreds of top-performing home care agencies from around the country, DecisionHealth will be hosting their 18th Annual Private Duty National Conference & Expo in Las Vegas. A bit more sales and marketing focused that the HCAOA, DecisionHealth is crafted for agency owners, CEOs, directors, and other executives. During the conference, attendees hear real-world success stories on how to better market their company and flourish in the non-medical, private-payer home care market. It’s the perfect opportunity for agencies to showcase their products and capture new leads. Visit the 2015 DecisionHealth Private Duty Annual Conference website for more information. Hurricane Home Care Sales & Marketing Boot Camp - August 13-14, 2015 - Washington, D.C. This bootcamp style conference is perfect for home care agency owners and marketers who want to improve their sales and marketing efforts and boost revenue. Founded in 2012, Hurricane Marketing Enterprises has developed corporate sales and marketing training, virtual sales management services, public speaking seminars, and boot camps to help businesses gain a competitive edge and succeed. With over 18 years in the in the sales and marketing field, founder and owner Steve “The Hurricane” Weiss has developed a program that enables start ups to quickly get ahead as well as provide experts with new tools and education to grow their revenues. His extensive knowledge of the healthcare and home care markets and strong passion for sales really shows in his energetic and fun presentation style. If you haven’t seen any of his videos, do it! It’ll be a great break in your day and you’ll, more than likely, learn something new. 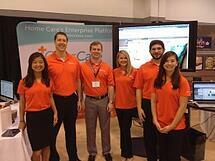 For more information on upcoming Hurricane Home Care Sales & Marketing Bootcamps, visit their website. 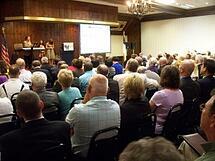 NAHC events are best known for being the nation’s voice in the home care and hospice community. This unique event gathers more than 300 home care and hospice professionals with over 90 exhibiting companies. One of the noticeable developments in financing and health is the addition of payment integration and services. Expect the NAHC and its affiliate HHFMA to provide you with speakers that will give you new skills, techniques, and tools to better manage your company. To get more information, visit the NAHC website. The Private Duty Field Trip is a unique experience where you and fourteen other owners and administrators will have the opportunity to spend one full day inside a multi-million dollar private duty home care company. The owners will take you on a tour through their office, introduce you to key team members, describe their organization structure, and show you their internal processes. Then you'll have time to sit around a conference table for the afternoon and ask questions. No holds barred. Ask anything you want. There's no better way to learn how to grow your home care business into a multi-million dollar company than to go inside and talk with someone who has already done it. Since the Private Duty Field Trip started last year, Leading Home Care has filled every spot at every location. All of the attendees have gone home bursting with new ideas to grow their own company and they have given us overwhelmingly positive feedback. Don't miss the opportunity to join our next Field Trip and take your business to the next level. Subscribe to the Leading Home Care blog for information announcing the dates of the upcoming field trips.